In this episode of Paris GOODfood+wine for November 2015 we’ll be hearing all about ways in which the centuries’ strong Franco-American relations are deepening. The golden nugget of this episode is an interview with members of the 1855 Bordeaux Grands Crus Classés organization telling us about their participation in supporting the reconstructed replica of the Frigate, called L’Hermione, that the Marquis de Lafayette, who we Americans call our French Founding Father, sailed to the United States on in 1780. 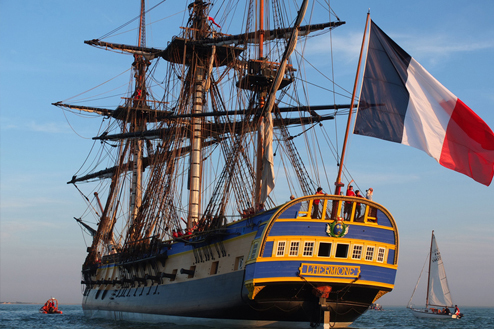 L’Hermione is the 3-masted 32 gun frigate that carried Lafayette to New York’s harbor in 1780 when he was bringing good news to the American Independence fighters: his King and the sovereign nation of France would support us militarily. This last summer, July 1 2015, a replica of the frigate arrived in New York’s harbor with much fanfare and also with the support of the Castine Historical Society (http://www.castinehistoricalsocietyhermione.org/) the non-profit dedicated to keeping this history alive in our memories today. The year was 1824, and some 50,000 people — roughly a third of New York’s population — lined the streets for a glimpse of Lafayette, the “French founding father,” who was visiting the United States as part of a 13-month triumphal tour of the nation he had helped liberate nearly a half-century earlier. We’ll also be hearing from a young author, mother and Parisienne, Clotilde Dusoulier, who takes us through some of the colorful idiomatic French expressions that she documented in her newest book, Edible French. 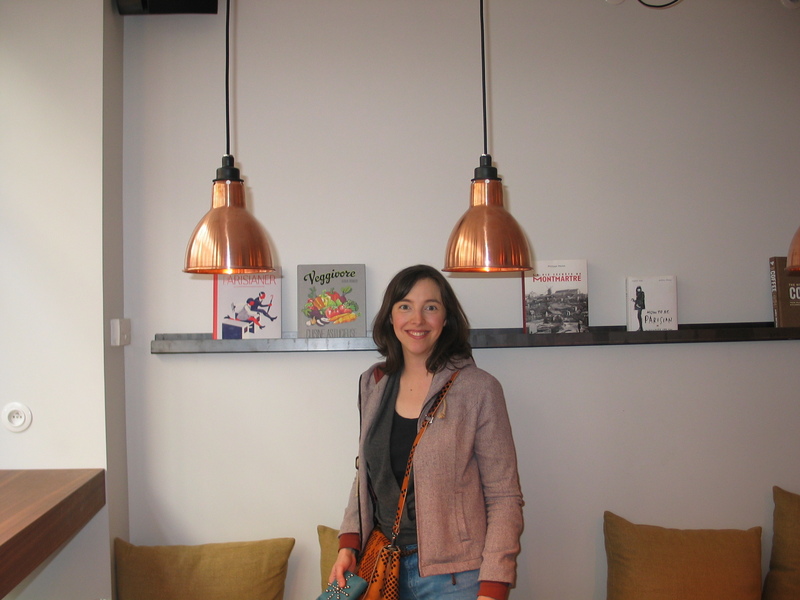 Clotilde is the founder of the popular culinary blog, Chocolate &amp; Zuchini, which she writes in both English and French. To round off this segment, I’ll be introducing you, formally this time, to our featured restaurant reviewer from Episode 10, namely Gilles Pudlowski. Pudlo, as he refers to himself, has a 25 year history as a culinary journalist and restaurant critic here in France. He’ll also be telling us about his content-rich blog he launched 5 years ago now. So sit back and enjoy another half-hour of Paris GOODfood+wine with me, your host and producer, Paige Donner.